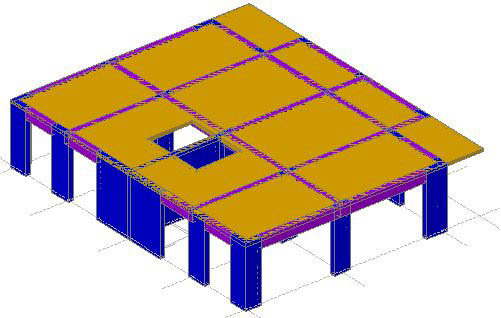 For an architectural plan made with AutoCAD using lines, polylines, multilines, arcs and circles, you can convert all the entities into Advance Concrete structural elements like columns, beams, walls, continuous footings, slabs, and even slab holes using "Convert an AutoCAD entity into a structural element" from the "Advance Model" toolbar. Usually the architectural plan is made of different layers for every kind of element or each type of element is colored differently. In this example, the beams were drawn using green colored lines and walls with black lines. The slab, columns, and slab holes were drawn using yellow, red and blue polylines. 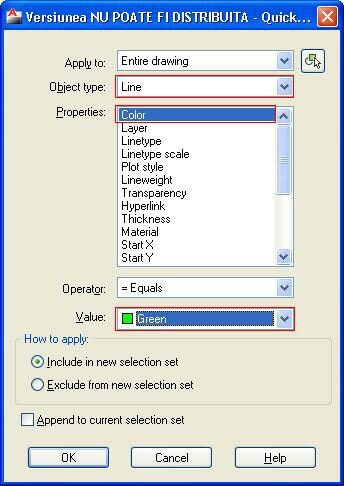 You can select by color the green lines and the red polylines using the AutoCAD "Quick Select" option or you can select the layer that matches the filter criteria. 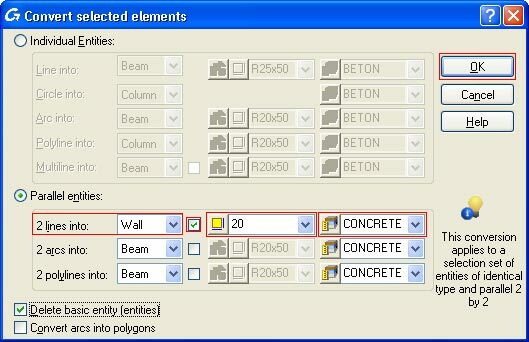 After the desired elements are selected, click the "Convert an AutoCAD entity into a structural element" button on the "Advance Model" toolbar. 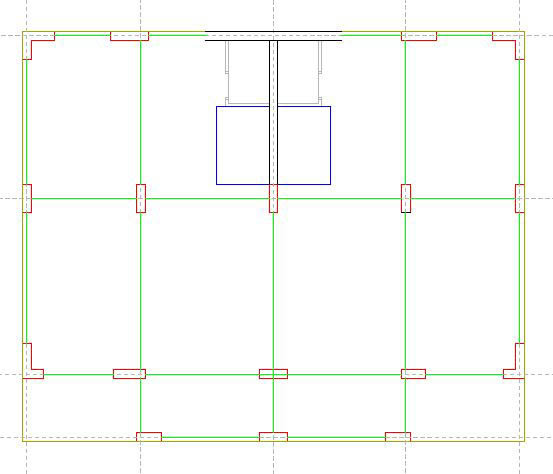 The selected lines will be converted into beams while the polylines will be converted into columns. For each chosen element, you can change its section, material, and dimensions. 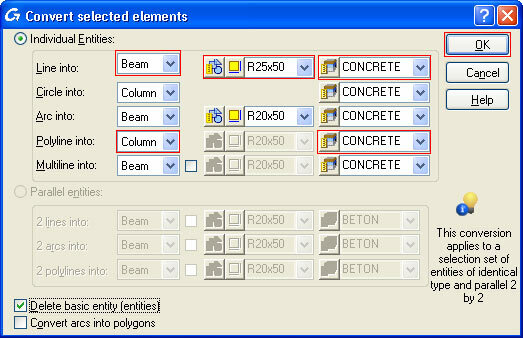 You can delete AutoCAD entities and keep only the converted structural elements by selecting "Delete basic entity (entities)". After the suitable changes are made, you can apply them to the drawing by clicking "OK". 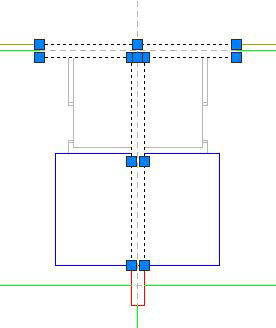 Because the walls were drawn using two parallel lines, they will be converted into structural elements using the "Parallel entities" option. The default thickness of the wall equals the distance between the parallel lines, but you can change it by selecting the checkbox next to the element's name. 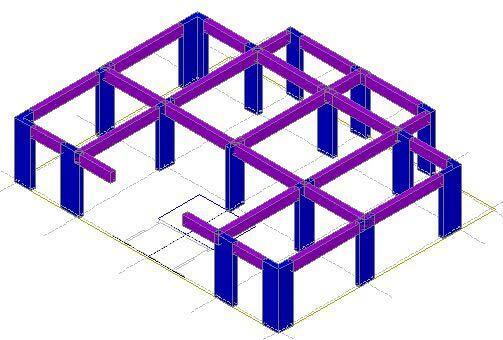 You can use the same method to convert the remaining entities into structural elements for the entire structure.